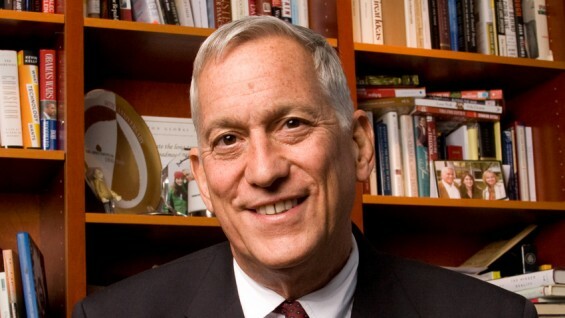 Walter Isaacson, the acclaimed biographer of Steve Jobs, Albert Einstein, Benjamin Franklin and Henry Kissinger, will be the keynote speaker at the 153rd Commencement on May 22, 2012. Our student speaker will be Benjamin Strauss from the Albert Nerken School of Engineering. Through a defining, best-selling biography, Isaacson has described how Steve Jobs was able to connect art to technology, and to make unprecedented leaps based on intuition and imagination. Like Peter Cooper, Jobs has had a huge impact on society. As Isaacson has written, Jobs’ legacy is the transformation of seven industries: personal computers, animated movies, music, phones, tablet computing, digital publishing and retail stores. Isaacson is President and CEO of the Aspen Institute, a nonpartisan educational and policy studies institute based in Washington, DC. In addition to his biography, Steve Jobs (2011), Isaacson has written Einstein: His Life and Universe (2007), Benjamin Franklin: An American Life (2003), and Kissinger: A Biography (1992). He is coauthor of The Wise Men: Six Friends and the World They Made (1986). A graduate of Harvard College and of Pembroke College of Oxford University, Isaacson was a Rhodes Scholar who began his career at The Sunday Times of London and then the New Orleans Times-Picayune/States-Item. He later joined TIME, where he served in several editorial positions before he became the magazine’s 14th editor. Isaacson is also the chairman of the board of Teach for America, which recruits recent college graduates to teach in underserved communities. He was appointed by President Barack Obama and confirmed by the Senate to serve as the chairman of the Broadcasting Board of Governors, which oversees Voice of America, Radio Free Europe, and other international broadcasts of the United States. Formerly, Isaacson was the chairman and CEO of CNN. Strauss was chosen as student speaker through a speech competition coordinated by Senior Council and judged by a panel of students, faculty and administrators. His major is interdisciplinary engineering and his academic focus has been biomedical engineering. He is on the dean’s list, and serves as vice president of the Tau Beta Pi Engineering Honor Society. He has served as a cardiopulmonary researcher at the New York University Langone Medical Center. Just this month, he filed a patent application on a cardiac device for which he has raised capital. A resident of Teaneck, New Jersey, Strauss is an emergency medical technician and crew chief, who performs a weekly overnight 12-hour shift for the Bergenfield Volunteer Ambulance Corps. He has received two awards for his resuscitation efforts. He is also vice president of Cooper Union Hillel. Commencement will take place in the Great Hall of The Cooper Union. A live webcast of the ceremony will be available on the Cooper Union website beginning at 10:30 AM on Commencement morning.